Firebug is a free open source web browser. It is the extension of Mozilla Firefox which specifies the live debugging, editing and monitoring of any website. Firebug is licensed under BSD licensed. In addition to these it is useful tool for web security testing and web page performance analysis. It makes changes immediately and gives constant feedback to the user. All editors in Firebug support autocomplete. 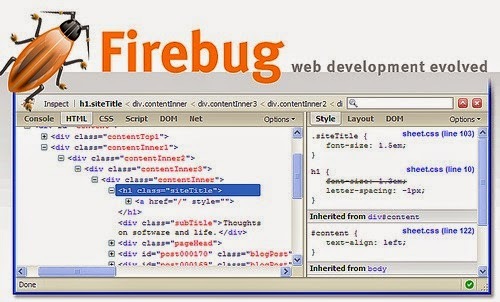 Let us see the HTML development specifications of Firebug in detail..